Washington. The Trump administration said on Friday that limits on mercury emissions from coal-fired power plants were unnecessary as they were too costly, sparking an outcry from environmentalists who feared the next step would be looser rules favoring the coal industry at the expense of public health. Since August, the EPA has been reconsidering the justification for the rule. A coalition of electric utilities had said the looser rules were not needed since they have already invested billions of dollars in technology to cut emissions of the pollutant and comply. EPA said it was "proposing that it is not 'appropriate and necessary' to regulate HAP [hazardous air pollution] emissions from coal- and oil-fired power plants ... because the costs of such regulation grossly outweigh the quantified HAP benefits." It said its reassessment showed the cost of compliance with MATS was between $7.4 billion and $9.6 billion annually, while the monetized benefits were between $4 million and $6 million. "The policy [acting EPA administrator]Andrew Wheeler and [President] Donald Trump proposed today means more pregnant women, young children, and the elderly will be exposed to deadly neurotoxins and poisons, just so wealthy coal and oil barons can make a few extra bucks," Sierra Club Beyond Coal Campaign director Mary Anne Hitt said in a statement. Wheeler is a former coal industry lobbyist. "Virtually every coal plant in the US has already met this lifesaving standard, and now Trump is recklessly trying to roll it back," she said. 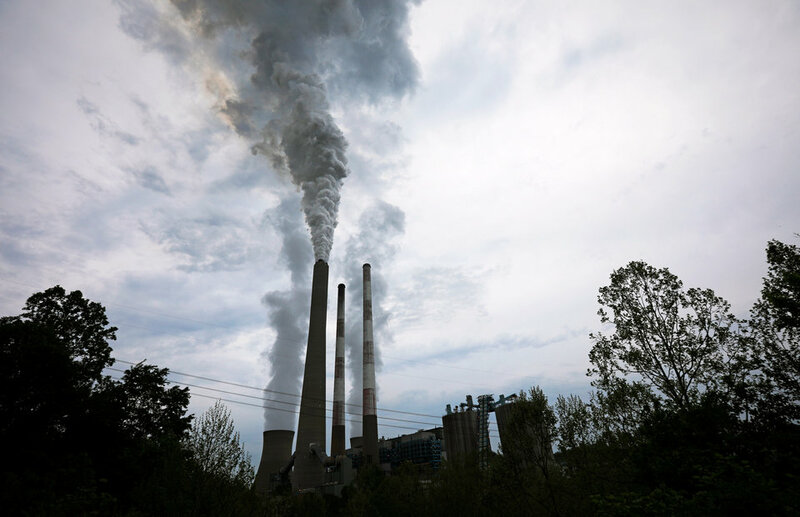 A study published this month by Harvard University's School of Public Health said coal-fired power plants are the top source of mercury in the United States, accounting for nearly half of mercury emissions in 2015. It said the standards have markedly reduced mercury in the environment and improved public health. Since taking office in January 2017, Trump has targeted rolling back Obama-era environmental and climate protections to maximize production of domestic fossil fuels, including crude oil. US oil production is the highest in the world, above Saudi Arabia and Russia, after a boom that was triggered more than a decade ago by improved drilling technology. The coal industry had challenged a 2016 conclusion by Obama's EPA that the rule was justified because savings to US consumers on health care costs would exceed compliance costs. The calculations accounted for how pollution-control equipment would reduce emissions of other harmful substances in addition to mercury. Trump's industry allies, including Robert Murray, chief executive of private coal mining giant Murray Energy Corp, had complained that the MATS rule contributed to the demise of the coal business by triggering hundreds of coal-fired power plant shutdowns and driving coal demand to its lowest in decades. US coal-fired power generation has fallen more than 40 percent since a peak in 2007, while natural gas-fired generation soared by about the same amount, according to the Energy Information Administration. Utilities' demand for US coal is projected to fall further this year, by around 2.5 percent to 648.2 million short tons, the lowest in 35 years, according to the EIA. "This is like when your 4-year-old kid tries to clean up your kitchen – it actually makes things worse. Please stop helping," said a utility industry lobbyist based in Washington, who asked not to be named. "The rule itself forced coal plant shutdowns, but they aren’t coming back."